In an interesting twist for Taiwanese baseball fans, Manny Ramirez arrives today to play in the local league. The 40-year-old slugger has had quite a career in the big leagues but has been unable to find a Major League Baseball (MLB) team. He has agreed to sign with the EDA Rhinos. By signing on Ramirez, the Khaoshiung-based team is gaining 19 seasons of MLB experience, including 555 home runs and 1,831 RBIs (runs batted in). 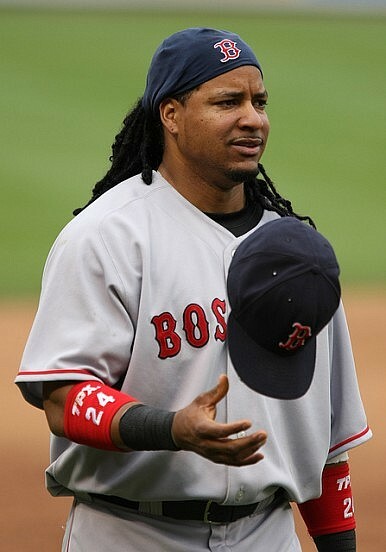 Ramirez retired from the MLB in April 2011 after testing positive for a second time to using performance-enhancing drugs. After the drug incident, he had a stint in the minor league last year with the Oakland A’s, but he was not called back to the major leagues. After spending the winter playing in his native Dominican Republic, he is now ready for a new challenge in the Far East. In late February, Ramirez said that he would head to Taiwan to play in the Chinese Professional Baseball League if no MLB deal came through by March 7. “I will play in Taiwan if I cannot get work in the U.S. by that deadline,” Ramirez told ESPN. “It will be a new experience, to experience another culture while I keep doing what I love and what I’ve done in all my life, playing baseball. Ramirez is undoubtedly talented, but in the U.S. there is debate about the legacy of this controversial player given his use of performance enhancing drugs and clashes with teammates. There is also disagreement about whether he made the most of his talent. "He didn't take life too seriously," said Yankees catcher Russell Martin who played for the Dodgers with Ramirez. "I feel like some fans live and die with the game. He just didn't take it to that level." Ramirez’s retired former teammate Omar Vizquel, however, dismissed suggestions that Ramirez did not work as hard as he could have. As Taiwan does not rival Japan or South Korea in the size of its baseball market, Ramirez could be angling for a move to Japan. But there is genuine passion for the game. The Rhinos are one of four teams in the Chinese Professional Baseball League. Average attendances range from 2,400 to 3,000 per game over the past two years. While Ramirez has not revealed his salary, foreign players generally collect a monthly salary of around U.S. $12,000. But for a player who has raked in more than U.S. $200 million during his career, the money would hardly seem to be a factor.